Dystopic books rule, and this book is the new king of the pile! Alexandra is in the back country to spread her parents’ ashes at a favorite spot, when the world she knows comes to an end. An Electromagnetic Pulse (EMP) is broadcast across the world, and the consequences are devastating. Alex is witness to the death of 10-year-old Ellie’s grandfather. Later, when they are attacked by deranged humans, they are rescued by Tom, and this fledgling “family” must somehow learn to survive on this new and terrible version of Earth. When the three decide to walk out of the woods to find other survivors, the tale becomes even more compelling and fast-paced—and a little creepy. Readers will be clamoring for the sequel. – Margaret Brennan Neville, Egmont, $17.99 (14 and up) Limited signed copies available. As the final installment in James Dashner’s Maze Runner trilogy, The Death Cure does not disappoint. The mind-eating virus, nick-named The Flare, is steadily infecting those closest to Thomas. 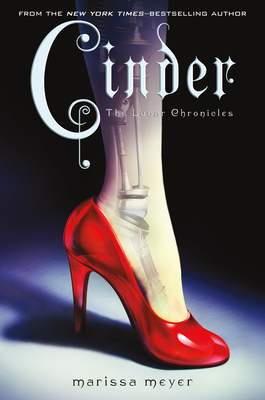 With close friends now infected, Thomas is forced to hastily decide whether or not he will help WICKED, the government organization set in place to find a cure for the ravening disease, or if he should instead stick with his gut and get as far away from WICKED’s headquarters as geographically possible. Just as The Maze Runner and The Scorch Trial hooked readers on the fast-paced and multi-adventurous narrative, The Death Cure will keep readers glued to its pages from start to finish. – Rachel Heath, Delacorte, $17.99 (12 and up) Limited signed copies available. Local author Ally Condie’s eagerly awaited sequel to Matched has been worth the wait! Readers get to hear both Ky and Cassia’s point of view in alternating chapters. Both characters are willing to take risks, to find the other. In the much harsher environment of the Outer Province, Ky struggles to save his own life, and Cassia is desperate to find him. But Xander is not out of the picture, and he surprises Cassia over and over again. The twists and turns of the story bring this dystopian love story to a surprising place. This is a sequel that lives up to the excitement and promise of the first book, a very difficult thing to do! — Margaret Brennan Neville, $17.99, Penguin (12 and up) Meet Ally and get your copy signed at the bookstore on Tuesday, November 1 at 7 p.m. The centerpiece of this year’s Banned Books Week celebration (Sept. 24-Oct. 1) is a virtual read-out. Everyone is invited to create a video of themselves reading from their favorite banned or challenged book and upload it to a special Banned Books Week channel. Videos of challenged authors and other celebrities will be also posted on the YouTube channel. More information about the read-out is available here and here. Editor’s Note: Long-time TKE bookseller, book group leader and mystery maven Wendy Foster Leigh, organized a magical mystery tour of San Francisco last month. Here’s Wendy’s take on the adventure. The Armchair Travel Mystery Group meets regularly at The King’s English in that dark little mystery room upstairs. We are constantly asking, “What do you think the author was thinking?”…and then we guess. We wanted to ask Cara Black what she was thinking when she began her Murder in Paris series and since she couldn’t come to Salt Lake City, we went to see her in San Francisco! Because the books are set in Paris, we chose the Hotel Triton in the French area of Bush and Grant streets near Union Square. The hotel has a French feel to it complete with its hotel dog, Romeo, and the sound of French spoken in the lobby. Bush Street is filled with French food and the trip suddenly became an eat, read, and talk event. On Friday, local artist Eleanor Burke joined us for a tour of the Mission District. She is the author of Sketching San Francisco; book club member, Roxy Nakamura called it “a love letter to San Francisco…the color sketches evoke memories of favorite spots and offer endless ideas for future exploration.” Eleanor led the group down Mission Street to Balmy and Clarion alleys for a discussion of the many murals (including some about books!) which reflect the passions of the District. Then it was off to lunch at El Delfin, followed by the Humphry Slocombe ice cream parlor for Thai Chili Sherbet. We even made a stop at Dave Egger’s Pirate Shop at 826 Valencia, a writer’s workshop for young people which is also a wonderful mixture of kitsch for old and young alike. 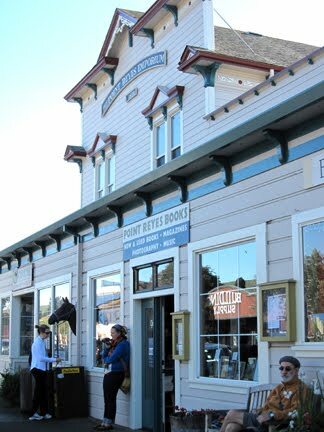 Saturday night arrived and off we went for a busman’s holiday at Bookshop West Portal and a discussion with Cara about the adventures of Aimee Leduc and the Leduc Detective Agency. Roxy pointed out that our book club “couldn’t help telling Cara the ways we hoped the story would progress.” Cara smiled an enigmatic smile that meant…“you don’t know how the books will end and I do! So there.” Luckily, Cara doesn’t seem eager to end Aimee’s adventures. 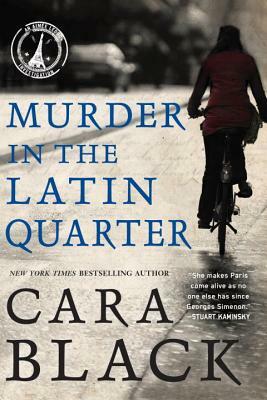 (Latest hardback Murder in Passy is at TKE, but we talked about Murder in the Latin Quarter, #9 in the series.) West Portal is a friendly neighborhood and Bookshop West Portal is an independent bookshop comparable to TKE. Owners Neil and Kevin set up the back room for our group and some other PALS (Parents of Alumni of Lick-Wilmerding High School), where I used to teach in SF). 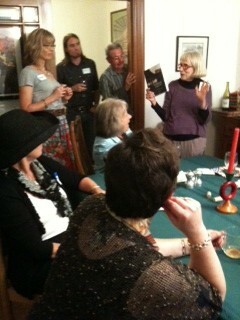 The guys even had copies of The King’s English by Betsy Burton for our San Francisco hosts. PALS group members drove us to the home of Stuart and Deborah Oppenheim for a Mediterranean feast and mixer. One day, perhaps we can host the PALS group and Kevin and Neil in Salt Lake at TKE. Planning this trip began months ago with only members of the Armchair Travel Mystery Group, but it “grew like Topsy” until there were 14 of us. Thanks to everyone for being so much fun: Rachel, Robert, Paula, Linda, Mira, Jeanne, Debbie, Roxy, Jim, Michelle, Rhonda, Josh and my truly helpful husband, Larry. Each participant probably has a favorite moment to share with the group. Mine was a quiet one at the Chinese Culture Center painting with my 90- year-old teacher, Mrs. Fu, and shopping at The New Unique Company for Chinese brushes and inks. Sometimes the silent times mean as much as the busy ones and creating a plum blossom can be as mysterious as reading a novel. 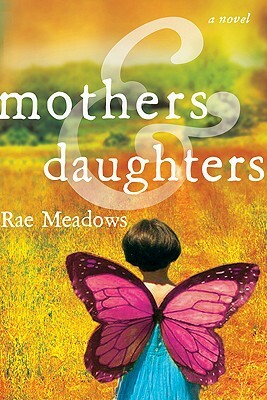 Rae Meadows is the author of Mothers and Daughters, published this May by Henry Holt. She has written two previous novels, No One Tells Everything (2008) and Calling Out (2006). I had the privilege of getting to know Rae when we were both students at the University of Utah, studying creative writing and getting together occasionally to whack around a tennis ball. After I read Mothers and Daughters this spring, I had some questions for Rae. She took time out of her busy schedule touring to promote her book, and as the mother of two daughters herself, to answer some of my questions. The King’s English (Lynn Kilpatrick): One of the first things I noticed as I was reading Mothers and Daughters was the relationship between your book, Virginia Woolf, and Michael Cunningham’s The Hours. I really liked the way you used the three-part/three-character structure, and, like The Hours, there were direct references to Woolf. How would you characterize your book’s relationship to these other works? Rae Meadows: I was definitely inspired and influenced by The Hours, particularly Cunningham’s use of a three-part structure with characters who don’t overlap in real time. I liked how this functioned to collapse time and memory. I was also appreciative of the book’s spareness and quiet drama. I was a little worried about directly referencing Virginia Woolf (Is it allowed? Is it like sampling in a song? Is it frowned upon?) but it seemed right for the character of Iris. I really did set out to write a novel about women and I kept coming back to To the Lighthouse. TKE: Can you talk about your decision to write the book from three different points of view? This seemed like a departure from your other books, which each focus on one main character. RM: Admittedly part of this decision came from becoming a mother and having to figure out some way to approach a novel in short bursts of time. For me it seemed more manageable to break it down into multiple points of view. I actually wrote each of the character’s sections separately because I couldn’t yet conceive of the whole. As you know, the entirety of a novel is such a scary behemoth to consider. TKE: How did your book become a best seller in the Netherlands? TKE: How do you finish a draft? Many writers begin projects, but have a hard time getting to the end of a finished draft and then there’s revision! How do you do it? RM: I have no idea how to write a novel! I’m looking into the abyss these days, unable to get started on something new. For Mothers and Daughters, I slogged out two pages a day until a messy first draft was completed, and I tried not to think too far down the road. I have to commit to those kind of modest but unwavering goals for myself or I’d never write at all. TKE: What kind of historical research did you do for Mothers and Daughters? You can keep up with Rae, and see pictures of the Dutch posters for Mothers and Daughters on her blog. 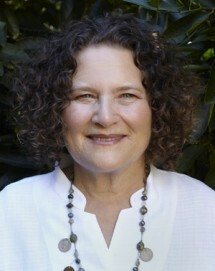 Along with being a bookseller and serving on the board of the Northern California Independent Booksellers Association, Levinson holds a doctorate in clinical psychology and is a licensed marriage and family therapist. She maintains a private practice in Oakland and also leads Emotional Currency workshops that encourage women to explore and understand their emotional ties to money. Inspired by the powerful stories of workshop participants and patients in her practice, as well as drawing on her own experiences with money, Levinson began drafting a book proposal more than a decade ago. “I wanted to encourage others to become curious about their own money stories–stories that we often even aren’t aware of ourselves, let alone ever share with one another because it’s taboo to talk about money,” she said. Levinson worked on the proposal intermittently and then looked for an agent, a search that proved unsuccessful. At Costa’s suggestion they bought the bookstore in 2002, after which her time was taken up helping to run the retail business and conducting her practice. “I thought I was over and done with the fantasy of writing this book,” she said. But the idea “kept coming to mind, kept returning,” and eventually she revisited the proposal. What happened next was “synchronistic,” Levinson said. In 2008, during the inaugural Geography of Hope Conference–a nature- and conservation-focused literary and arts event co-founded by Costa–she met Carl Brandt, the late author and environmentalist Wallace Stegner’s literary agent. He offered to read the proposal, and Levinson ended up signing on with Brandt’s business partner, Gail Hochman. Many Point Reyes Books customers have ordered Emotional Currency in advance. Some readers have taken Levinson’s workshop and have an idea of what’s in the book, while others are interested in learning more about the author’s professional life outside bookselling. “They know me as the person who sells them books and puts on author events, and I think they’re really curious,” said Levinson. …[N]ow it’s Levinson’s turn to be in the spotlight. So how is it being on the other side of the publishing process? “Scary and exciting and wonderful,” she said. At this year’s Winter Institute she met booksellers from other parts of the country who invited her to promote Emotional Currency at their stores. Her tour stops include Maria’s Bookshop in Durango, the King’s English in Salt Lake City (Thursday, May 19, 7 p.m.) and Magers & Quinn in Minneapolis (June 12). You are currently browsing the archives for the Store News category.